The secret to having a stress free a wedding day is all in the schedule. You want to make sure you create a realistic timeline of the day that you and your planner are well versed on. 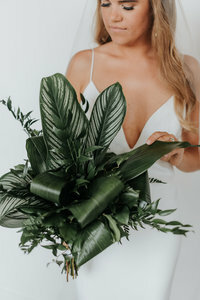 Every wedding needs a different itinerary and specifics to be added that depends on your details, for example, a larger wedding party will need more time allocated for portraits shots versus a smaller one. 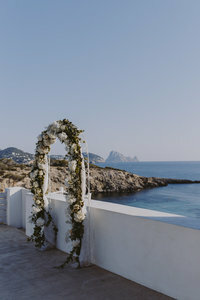 We have put together a timeline below, from start to finish, of what the average wedding day looks like from start to finish and we hope it can serve as a skeleton for your wedding day itinerary. If you have any particular questions, feel free to ask us on our daily Q&A on our Instagram stories at @theweddingpic. 90 Minutes for Bridesmaids Hair and Makeup. If they are getting their make up and air professionally done – each bridesmaid will usually need about 90 minutes for each of their hair and makeup. This time range varies if your maids are doing their own simple hair and make up looks! 1 Hour for the Brides Hair. The brides hair is the first thing to get started – this is because the hair might need some heat from a curling iron or flat iron that could be a problem for make up. It is better to get this done first or at the same time as make up. It really depends on what your MUAH is comfortable with! 45 minutes to 60 minutes for Brides Makeup. The time allocated for make up depends on how dramatic or simple the make up look is. 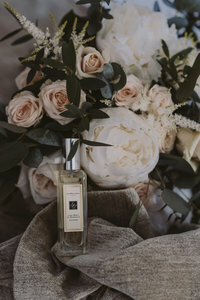 *Keep in mind that the bridesmaids should get ready first while the bride herself is one of the last ones to get ready – this way she is not waiting around for her maids to finish up. This also allows for the getting ready make up shots once the photographer arrives. Photographer Arrives. Now depending on the number of hours and number of photographers included in your package, the timing here will vary. One photographer might shoot the bride getting ready while the other will be at the grooms house shooting the guys getting ready. On the other hand, the photographers might shoot the grooms getting ready shots first (as it is usually quicker) and then move on to the bride to make sure there is more time for these shots. I would allocate 45 – 60 minutes for the grooms getting ready shots because this also includes family moments wherever the groom is getting ready. I would then allocate 60 minutes at the least to the brides getting ready shots. Florals Arrive. Normally the brides bouquet, the bridesmaids bouquets and the corsages will arrive at the brides house while the bride is getting ready. 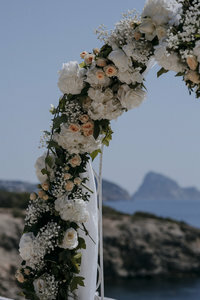 This ensures that everyone will be appropriately flowered-up before the ceremony and portraits. Make sure to discuss this with your florist and ensure they know which address and time to drop the flowers off too. 15 – 30 minutes for travel to ceremony or to portrait photos location. We recommend keeping the distance from locations no more than 30 minutes away from each other – you don’t want to spend the day travelling too much and you also want to avoid any sudden traffic situations that could delay your travel time even more. Portrait photos and first look. Set aside about 1.5 hours for the portrait and group shots. If you have a large wedding party then we suggest setting aside two hours for this. 1 Hour for the ceremony. This typically depends on the type of ceremony you are having and how much time it requires. A ceremony can go from 20 minutes right up to an hour. 1 Hour for cocktail hour. It is called cocktail hour for a reason 😉 – hehe. Giving your guests an hour to kick back, mingle, and have a drink before the reception is a great way to lighten everyone up before the reception begins. You don’t want to rush a cocktail hour as it is a great time for everyone! It also gives you time to potentially take more couple portraits while guests mingle. 5 hours for the Reception. The reception typically starts around 7pm and ends at 11:45pm or 12am depending on the venue and couples decision. 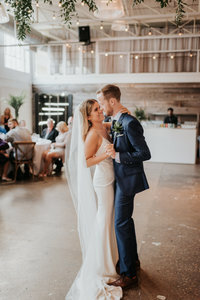 *Within the reception you will have the entrance of the wedding party, the bride and grooms grande entrance, welcome toasts, the dinner, the speeches, the first dance, mother-son dance, father daughter dance, cake cutting, and the opening of the dance floor! a reception itinerary is very specific to the wedding and the kind of celebration the couple wants to throw, some will have longer speeches, some with more hours for the dance floor. Make sure to detail the exact start and end times of all the reception items in your final wedding day itinerary!